The Australian lender will IPO its UK arm for as little as 0.6 times tangible book value, a discount to rivals even after recent price falls. Clydesdale’s restructuring means it may eventually deserve better; its current numbers and buy-to-let exposures suggest it doesn’t yet. 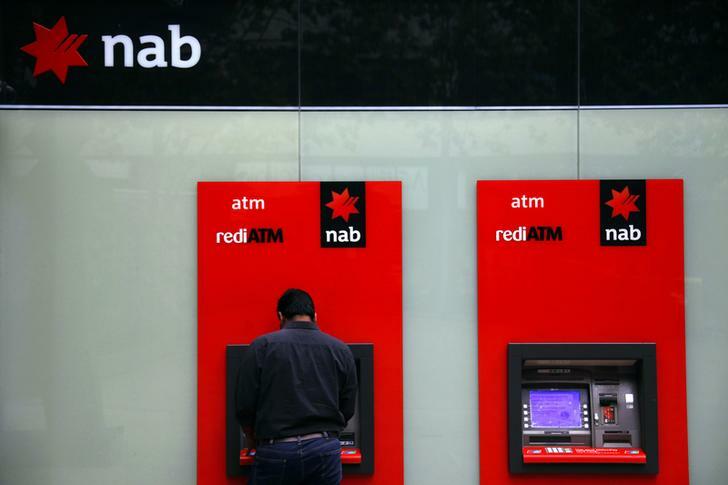 A customer uses a National Australia Bank (NAB) automatic teller machine (ATM) in central Sydney November 12, 2014. National Australia Bank said on Jan. 18 it would set the price range for an initial public offering of its CYBG subsidiary at between 175 pence and 235 pence per CYBG share, equating to a market value of between 1.54 and 2.07 billion pounds. The range implies CYBG, which includes UK lenders Clydesdale Bank and Yorkshire Bank, will be listed at between 0.56 and 0.76 times CYBG’s 2015 tangible book value. The Australian bank, which is listing 25 percent of its UK arm and demerging the rest to its own shareholders, will announce the final price on or around Feb. 2.